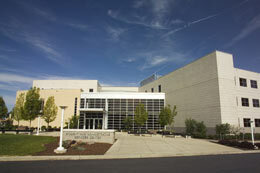 The College Transitions Office at Pennsylvania College of Technology provides services, activities, and resources to teachers, counselors, administrators, and students in K-12 schools. College Transitions activities fully support the Pennsylvania State Academic Standards. Students earn Penn College credits while at high school through dual enrollment in Penn College NOW courses. Penn College NOW classes are taught by approved high school teachers at the student’s home high school or career and technology center. * Penn College Scholarships will be offered to students entering grades 9-12 who complete select pre-college programs. ... is a series of documentaries for public broadcast that spotlight emerging technologies, and include FREE classroom resources for K-12 students. Learn more about "degrees that work.tv"